Breaking into international industries is no easy feat for any celebrity, regardless of origin. 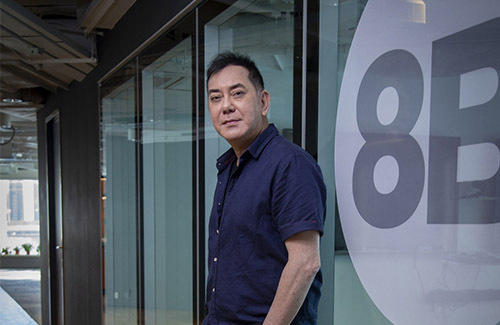 For Film King Anthony Wong (黃秋生), it took years and years of garnering success at home before he even had the possibility of moving past Hong Kong to other countries. Starring in the new British TV crime drama series White Dragon (called Strangers in the United Kingdom), the actor talked about the differences between Hong Kong’s own local productions versus overseas productions from the West, and why Hong Kong is lagging behind. One of the first reasons is the longer production period—Anthony expressed that the longer production periods in British dramas allow the actors to have longer periods of rest, giving them more time to collect their thoughts and emotions. Though Hong Kong has cultivated many talented and award-winning actors in the past, the new generation is suffering. Critics say our generation’s “weaker” actors have something to do with the lack of resources, and many actors are forced to learn on the job—unlike actors in the past, as most of them received professional training. @dandan It’s even sadder though that most of the veteran artists have been saying either the exact same thing or something similar (to what Anthony talked about in the interview) for years, yet nothing has changed…in fact, things have gotten way worse in recent years and continue to decline with each year that passes. Yes. 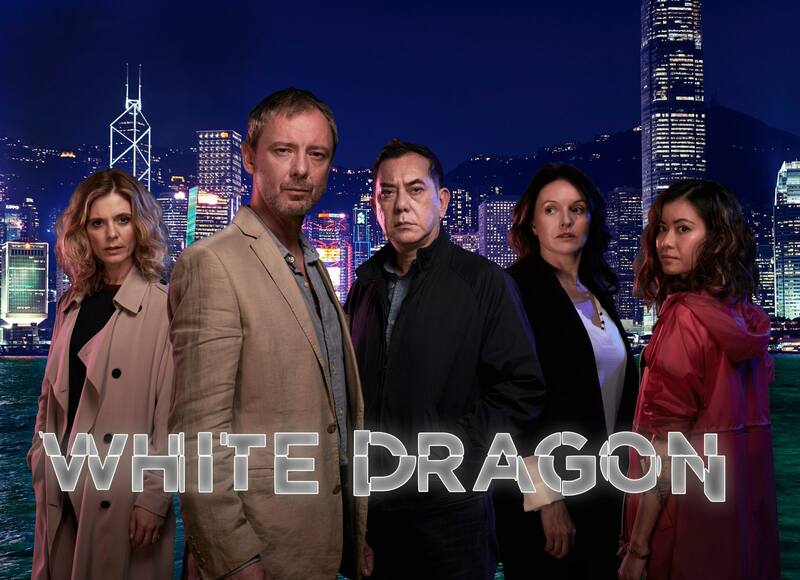 TVB shifts have turned into factory work for the majority of artists. Knock off the shift and then go home. We have even seen it with the lead actor/actresses over the years. Tavia starring in the same roles and putting similar emotions for scenes and we as viewers can’t distinuish between the characters. Wayne acting in series after series but probably 1 out every 3 are decent quality.It’s more of scene for scene acting and no time to think and develop a character. I think Moses said something along the lines in the interview in ‘Telling Maria’ not long ago. I just think we have no choice but to give up Hong Kong. Even if decent acting classes will be introduced for everyone, TVB is just a stepping stone to grab a bit of fame and quickly move on to lucrative mainland shows, endorsements etr. The only way this can be solved is for TVB to also pay astronomical wages then there will be an incentive and there might be motivation to compete and improve but as we know, this can never happen. All we can do is to reminisce by watching old series…. LOL. Quote: “In TVB first you get to hear about your mother, your father, then ancestors.” In short, there is no respect for actors. I remember another actor spoke about unreasonable treatment before although no names were mentioned. Anthony did not mince his words. Indeed, Korean dramas IMO are now a class above. I prefer non romance Korean dramas any time. And too much control kills creativity which is vital in the entertainment industry. True words! And he didn’t blame China for HK entertainment industry’s decline. @msxie0714 He did indirectly by saying there are a lot of things actors are no longer allowed to do. I suspect he’s indicating the lack of freedom of speech. Wow Anthony! This is the my favorite Anthony Wong article of all time – just straight facts without BS. He couldn’t had said it any better. @anon I agree! And I thought Anthony’s previous comment about TVB’s series being “kindergarten productions” was one of the best “cut the BS” comments I’ve ever heard – this entire interview definitely tops that, lol! Thank you Anthony for once again “telling it like it is”….love it! wow I totally agree with him!!! Nowadays, new actors treat it as a shift and rather than put in the hard work to get to the next level. It happens when the market is inflated and money is easy to come by from attending shows. By the way, those who are able to read Chinese, I suggest reading the original article in Chinese (and watch the interview clip as well), as you get the full brunt of the interview that way. Anthony doesn’t mince words and the way he says stuff, there’s just no way to translate it properly. Also, there is stuff in the original article / interview that’s missing from this particular translation…. Thank you! I am going to try to read that with my limited Chinese. Be great if there’s a better-translated article out there. Well I agree with the attitude towards actors and the drop in quality, as well as the restrictions due “censorship” for nit-picky viewers who complain about every little thing. One slap is considered violence nowadays. However, I don’t think it’s fair to say that about the actors who have to work harsh hours and aren’t treated well. I’m sure that there are passionate actors but they just don’t get the chance. I think alot of newabies that are promoted right off the bat are being convinced that they’re alright because directors keep using them regardless, and therefore don’t improve. I think it’s the entire industry that’s pulling down both the production and the actors themselves. @birdy2415 I don’t think he’s talking about all actors. If you watch the video, he does clarify that some of the actors who treat it “like a job” isn’t necessarily because they are lazy and deliberately want to do a poor job — the problem is that they don’t know what they are supposed to be doing because no one ever taught them formally (the lack of acting / training classes like in the past) and also there is barely anyone to learn from because alot of the veterans are no longer with the station — many of the senior artists have passed away while many others left for various reasons and some don’t even bother with the HK market anymore, so the station is left with those who don’t know what they are doing but have to do it anyway — it’s kind of like the blind leading the blind…. Ever since the Mainland film market boomed in the last decade, Hong Kong hasn’t been the same. As long as Hong Kong companies keep working with Mainland parties, the Hong Kong film industry won’t progress nor recover. I disagree, even without the emergence of the Mainland market. TVB would eventually shut down albeit at a slower rate. The booming Mainland market only helped in accelerating their death (TVB). Which I feel is a positive as TVB would never change, even when there were/are stiff competitions (HKTV/ViuTV/Korean/Taiwanese entertainment, etc. ), they prefer stick to their old ways and habits and not evolve with time and social changes. They only have themselves to blame for their own demise.